to Pack plus Walk 6 miles in a Day. Alaska Interior Game Ranch, Inc.
All harvests depend on availability of animals at the time of scheduling. Reservation and $500 refundable deposit required. We require high powered rifle, 30.06 or larger. No black powder, automatics or bows and arrows. Game ranch clients must be physically fit and able to shoot with accuracy. Clients must be in good physical and mental health. Clients must be prepared to pack and walk long distance to secure animal. Please call before booking hunt and sending deposit. CONTACT BY PHONE: 907/895-4715 (Shop) or email off of contact page. 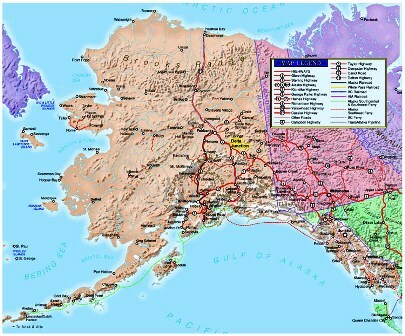 Our ranches are located just north of the Alaska Range. We are in the heart of Alaska surrounded by snow-capped mountains.You will be on the road system. You can fly to Anchorage and drive up the highway (about 350 miles one way) to get a view of Alaska or fly to Fairbanks & drive down from there (about 125 miles one way). 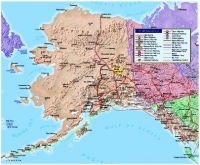 Traveling from the Anchorage area, take highway to Glennallen-Paxson-Delta. Owned and operated by lifelong Alaskan residents. 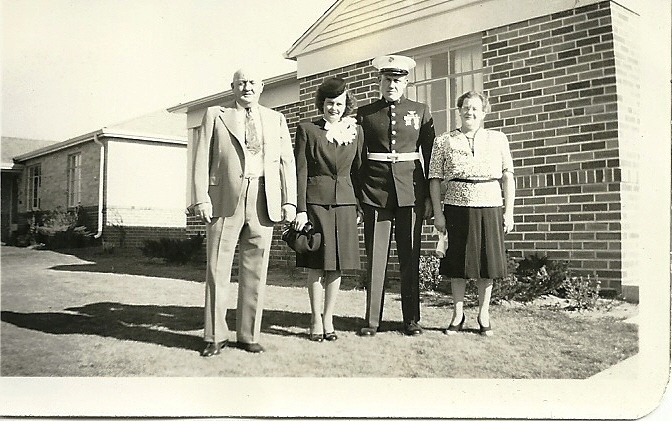 Fritz Hollembaek, Ileen, Byron and Myrtle Hollembaek on Byron and Ileen's wedding day. Website dedicated in loving memory of WWII Marine, National Guardsman & father/grandfather, Byron Jerome Hollembaek, who came to Alaska in 1951 to begin the agriculture industry we have today and his wife, Ileen Noorlun-Hollembaek, who devoted her entire life to farm and family.